New: Strata Business Summit for executives, business leaders, and strategists. Survive and thrive in a data-driven world: Join the brightest minds in the data industry for 4 intense and exciting days in Santa Clara. Hi Jian, This is discussed in some detail in the presentation. If you need more depth, chapter 8 of “Kafka The Definitive Guide” includes more information. Thanks but it still doesn’t work for me. I will try from a different network/computer. 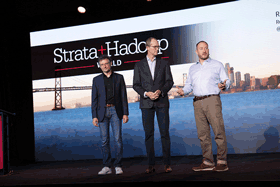 Strata + Hadoop World is a 3-day immersion in the most challenging problems, intriguing use cases, and enticing opportunities in data today. The future belongs to those who know how to use data. 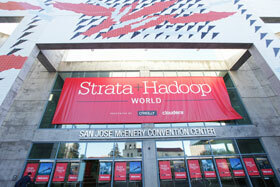 That future starts at Strata + Hadoop World. Need in-depth education on critical and emerging topics? You'll find it at Strata + Hadoop World. Each training course takes place March 13–14 and is limited in size to maintain a high level of learning and instructor interaction.